With the annual National Cat Awards just around the corner, we’re announcing the finalists for each of the six categories, including Furr-ever Friends, Hero Cat, Most Caring Cat, Outstanding Rescue Cat, Purina® Better Together and Cats Protection’s Special Recognition Award. From stories of great bravery, to heart-warming tales of companionship between cats and humans, the National Cat Awards highlight the incredible impact cats have on their owners’ lives. Purina Better Together celebrates the special bond that has transformed and enriched the lives of both a feline and human. Meet the finalists, Spike, Fish and Tank, in our video playlist below. To vote for your favourite finalist, visit our Facebook page for more information - voting will begin at 2pm on Friday 30 June and end 10am on Monday 3rd July. Come back next week for our next set of finalists for the Hero Cat category. Winners will be announced at a ceremony on Thursday 3 August at London’s Savoy Hotel, where celebrity judges will also announce the National Cat of the Year 2017. To find out more about the National Cat Awards, visit our website. 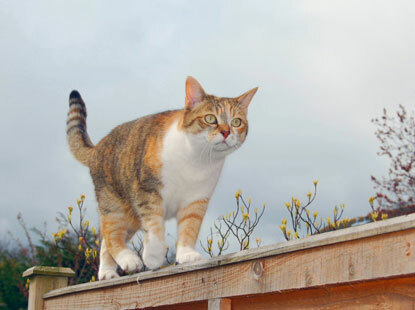 This post has been written with the help of Cats Protection's Bracknell & Wokingham Branch. Gorgeous ginger cat Weasley came into the Bracknell & Wokingham Branch of Cats Protection in April after living as an unneutered stray in Wokingham for several months. He was spotted limping badly and appeared to be injured. After sightings of Weasley were reported to the branch by passers-by, he was eventually captured in a humane trap and bought into the branch for treatment. Weasley was then neutered and his leg was x-rayed. This unfortunately showed a break in his rear left leg that needed treatment. After a visit to the vet, Weasley was given pain relief but sadly it was advised that if this did not work, the best solution would be to amputate the leg. 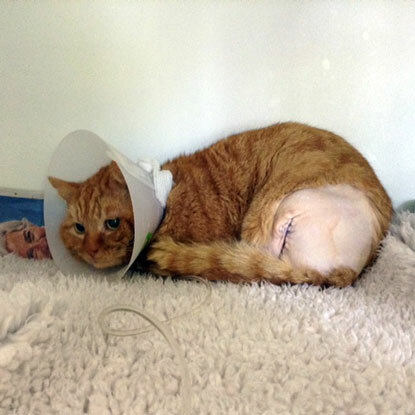 As Weasley was in so much pain, it was decided that he'd be operated on straight away. After a short period of recuperation, he spent time in an outdoor pen. He was then moved to an indoor pen to allow him time to recuperate and also to give him more space. Weasley has since turned into a loveable cat who loves human company. Adapting particularly well to life on three legs, he is now enjoying his time in the home of a local fosterer. He is even jumping onto the sofa and finding his way around. 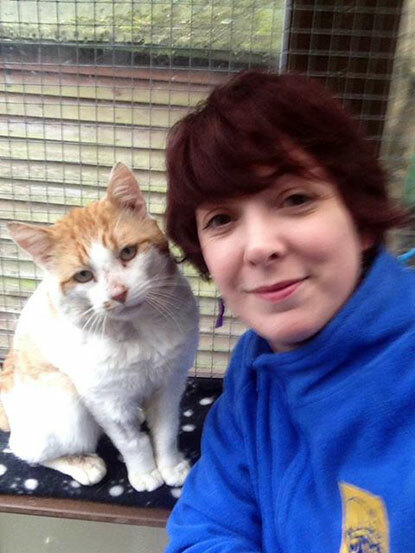 Luckily, Weasley is now going to be rehomed by a long-time supporter of Cats Protection – a happy ending, after all! Cats Protection understands just how much your cat means to you and what you may be going through if your pet is missing, had to be rehomed, is nearing the end of their life or has recently passed away. 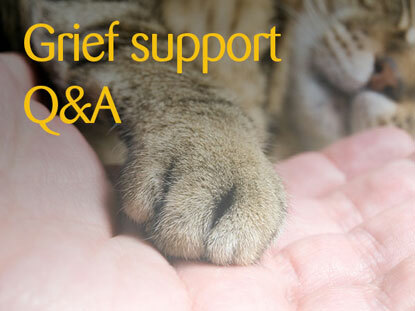 To support cat owners at this difficult time, Counsellor and Pet Loss Specialist Julia Dando took to our Facebook page to talk to them about their grief. Question: I had my cat put to sleep because someone poisoned him and I’m having trouble coming to terms with having to make that decision. I keep seeing his beautiful face as he was leaving me! Answer: What a heart-breaking thing to have to go through. The decision we make when we have to let our pets go doesn't really feel like a choice but can leave us feeling devastated and guilty. On top of those feelings you're also having to deal with feelings of anger towards whoever left poison for your cat. So many unanswered questions and little room for any kind of closure. All these circumstances can make it incredibly difficult to come to terms with what has happened and will have a great impact on the way you grieve for your cat. Grief can be very chaotic and is unique to everyone. If you would like to talk through what happened with someone please do ring our volunteers on the Paws to Listen Grief Support Service on 0800 024 94 94 – Mon-Fri 9am-5pm. Question: I lost my 18-year-old cat just before Easter – he'd been with me from eight weeks old from CP. I'd just moved into my house and he was my first major addition. I can't believe how much I'm grieving for him. I miss him every day. I still call for him when I come home in the evening... even though he was deaf as a post by the time he went, well I think he had select hearing actually! But he was such a huge part of my family life – I have two other cats and a dog, so the house isn't completely empty, but it is if you get my drift. My cat’s ashes are in my spare room as that's where he liked to sleep sometimes, and to be perfectly honest, I say good night every night, and if a song comes on the radio I like, we dance... he did love to dance on my shoulder. I just wanted to share... I know time is a great healer, but sometimes venting or writing down your memories helps, well it does me. Thanks for listening. Answer: Grief is very individual and different for everyone. There is no ‘normal’ when it comes to grieving. The bond you had with your boy was strong and your relationship was significant. Just like when we lose anyone who was such a significant part of our lives, it hurts. Loss hurts. There is no set length of time for grief – for some people it eases after a few weeks or months, for others it can take much longer. It sounds like you had an incredibly strong bond with him – and you miss him so much still. Allow yourself the time to grieve, he was so very special to you. Question: I’ve had my elderly cat since he was about 12 weeks old and he has just turned 18. He has lost his hearing and is losing his eyesight slowly too. Arthritis has set in and although he is old and stiff he can still race and jump like a kitten. He had two days last week when he refused to eat but drank a lot and slept in strange, awkward positions. He has lost weight and I can feel every bone in his spine and hardly weighs anything when I pick him up. He has a large lump that is squishy and has grown rapidly since the New Year. He is such an affectionate and loving boy and purrs loudly in my ear at night. I think it will be time to say goodbye to him soon, how can I cope with this? Answer: It's so hard when we see our pets decline in front of our eyes. What a long time you've been together – from when he was just a kitten to 18 years old. Over such a length of time he will have been with you through so much of your life and likely many changes and experiences. This will have made the bond you have with him so very strong, which makes it all the harder to consider his leaving. In this type of instance, it is likely you will be experiencing anticipatory grief once you've been given a prognosis by your vet. Grieving can start way before they are gone and you may well feel the responses to grief already. You might find some of our grief leaflets helpful in your preparations for what is to come and do consider calling Paws to Listen as and when you need to. Question: I recently lost my cat due to cancer which was growing in his mouth. I have had him since I was 12 and I am now in my late twenties. He was my best mate and was there through everything with me. I had to make the awful decision to have him put to sleep – he wasn't eating, was drooling loads and just spent most of the time hidden under the bed. The house seems so quiet now. Answer: Your cat was with you for so much of your life – a massive hole will have been left by his loss. He's been through so much with you – he's family. It's a wretched decision to have to make when the time comes and difficult to come to terms with. Through your cat’s life you took care of him, fed him, kept him clean, warm, healthy... you took responsibility for the quality of his life. It is the hardest thing to do to continue that responsibility on into the care of their death. The hardest and bravest thing we can do for our beloved pets. Please do consider ringing the Paws to Listen Grief Support Service from Cats Protection on 0800 024 94 94 – open Mon-Fri 9am-5pm if you would like to tell us about your cat and talk through your feelings around his loss. Cats Protection’s Special Recognition Award celebrates some of the amazing stories involving cats that have been rehomed by Cats Protection. Meet the finalists, Lunar, Felix and Sadie Ellenore, in our video playlist below. Come back next week for our next set of finalists for the Purina® Better Together category. The latest video in the Simon’s Cat Logic series sees illustrator Simon Tofield team up with Cats Protection’s Behaviour Manager Nicky Trevorrow to reveal how to understand your cat’s body language. He goes on to show how he expresses emotion when drawing an ‘angry’ cat. Nicky says: “Cat body language is an area that’s absolutely fascinating. However, cats are really subtle as a species – much more so than species like ourselves and dogs – and it means it can be quite difficult to really ‘read’ how they’re feeling. You can learn more about understanding cats’ body language by viewing our behaviour infographics or visiting our behaviour hub. 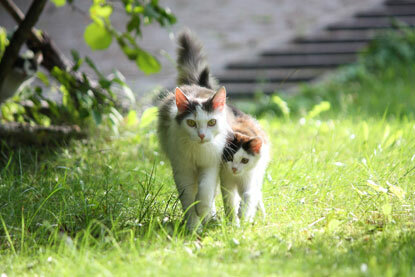 At a time when many of us are celebrating Father’s Day, curious cat lovers may be wondering about feline fathers. Do male cats make doting fathers or are they absent? Certainly it is not something you commonly hear about. This blog post aims to shed light on this little known topic. The first thing to note about cats is that they are one of the few domesticated animals that have retained a large degree of control over breeding and mate choice. As such, this means that we often do not know who the father is. Generally, it is only pedigree cats whereby a female or queen is taken to a male stud cat and therefore both parents can be identified. 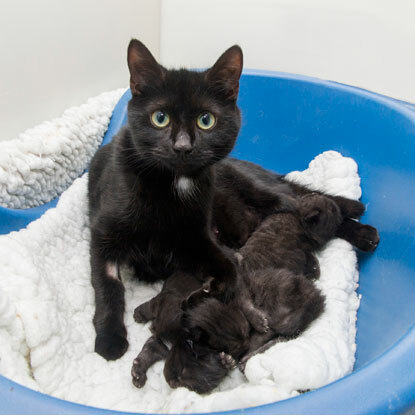 Of course, even pedigree cats can have accidental litters! One study in Southampton which looked at paternity in kittens discovered some interesting results. One of the households with a litter of kittens in the study had a male and female cat which were both unneutered. However, when the paternity test results came in, none of the kittens were fathered by the male cat living in the house. 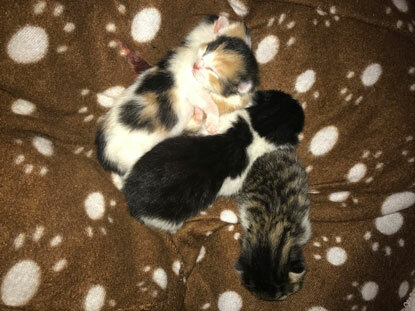 In fact, the kittens were all fathered by a feral tom cat from a farm a few miles away – and this feral cat had actually fathered many of the kittens in the study! Clearly this virulent male cat needed to be neutered in order to prevent the many unwanted litters. Kittens can get pregnant as young as four months of age, which is why Cats Protection recommends neutering at four months. A little known fact is that kittens in a single litter can have different fathers. There could even be as many fathers as there are kittens! 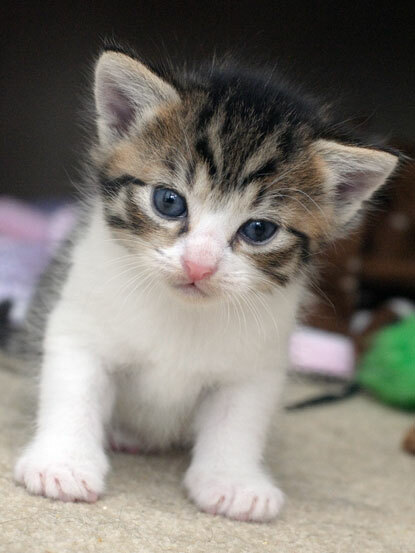 The ability to produce a litter of kittens fathered by more than one tom cat is called superfecundation. If we consider that the trait for boldness, or how friendly or outgoing the cat is, comes from the father, this helps to explain the differences seen in a single litter not only in the variety of coat colour or length, but also the personality of the kittens. Studies have shown that friendly fathers tend to have genetically friendly kittens, whereas fearful fathers tend to produce more fearful kittens. 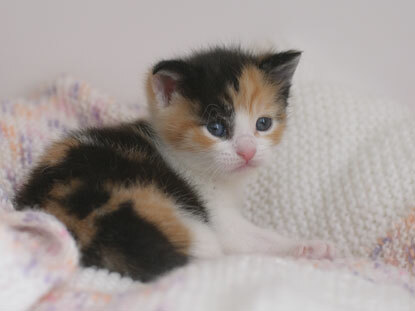 Of course, there are many other factors which also play a role in the overall sociability and personality of the kittens, including the amount of positive experiences with people and objects during the kitten socialisation period of two to seven weeks of age. Overall, cats are not known for their fatherly skills as male cats do not tend to be involved in raising offspring, especially in the wild. Anecdotally, there are rare cases reported where domestic male cats have shown paternal care towards the young. Generally, rearing the kittens is primarily carried out by the queen so we don’t expect many kittens to be giving gifts today! Question: My 18-month-old cat (he’s neutered) often goes on long, four or five day expeditions. Is this normal for a young male cat or should I be worried? Answer: This could be normal – at 18 months he's reached what is known as 'social maturity' and at this point cats start wanting to maintain a territory. Territory size can vary from cat to cat, ranging from just the house where they live to miles of space outside of the house. Cats will spend a large portion of their time patrolling their territory, and as your cat is young, he'll be trying to establish himself. Please make sure that he is microchipped and wearing a safety quick-release collar so that he can be identified. It’s great that he is neutered. For his own safety, it might be worth keeping him in at night. Question: My female neutered kitty of six years old has a bald patch on her lower belly where the milk ducts are. She is treated with a flea product prescribed by the vet, worm tablets and is slightly overweight. What is causing this bald patch? Answer: It may be worth getting this checked by the vet. It may be that the fur has naturally thinned here due to contact with her bed or floor, and this could be exacerbated by her being a little overweight. This is also a common area for cats to overgroom, causing the fur to thin. 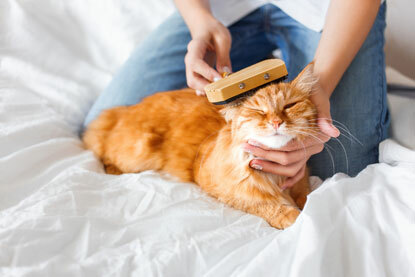 Overgrooming can occur as a response to an itch or allergy, stress or pain in this area. For these reasons, it would be worth getting her checked over, and the vet can also give you some tips on how to get her trimmed down as being in good shape will really benefit her health. Question: Our cat scratches her ears a lot (around four or five times a day) but she doesn’t seem to have mites and she isn’t anxious. Could there be another reason why she is doing it? We got her from Cats Protection three months ago and she has always done it. Answer: The scratching sounds a little excessive, and it might be wise to have a vet take a look down the ear canal with an otoscope. The ear canals can look clean on the outside, but cats may have ear mites that are not visible outwardly, deeper infections, ear polyps or even foreign bodies down there, so it is worth ruling anything more sinister out with your vet first. . Cats can also get sunburnt or bitten by insects on the tips of the ears, especially at this time of year which can cause some irritation. Question: My newly adopted long-haired cat, aged 10 years old, is really well settled but his coat is matted so I cannot groom him properly. He is shedding everywhere. What is the best thing to do without upsetting him? Answer: It's lovely to hear you have recently adopted a cat in need. If his coat is very matted, then it may be too painful for him to be groomed. The best thing to do may be to take him to your local vets, where they might be able to shave away the mats with safety clippers. Again, this may be too painful for him if he is very matted, so the vet may need to give him a little sedation to facilitate the process. Once the mats are gone, you can start daily pain-free grooming and hopefully prevent him from getting matted again. I hope that helps and best of luck! Question: My cat is 10 years old and she is on thyroid medication for a condition. She howls every night and paces around. She seems to sleep ok during the day and urinates a lot in her litter tray. Could the howling be a side effect of her medication? Answer: I'm sorry to hear your cat has been unwell with her thyroid condition. Yowling and pacing could be a sign that her medication needs adjusting, so I would certainly mention this to your vet. Cats can also develop a form of dementia as they age, which can present as restlessness and increased vocalisation. 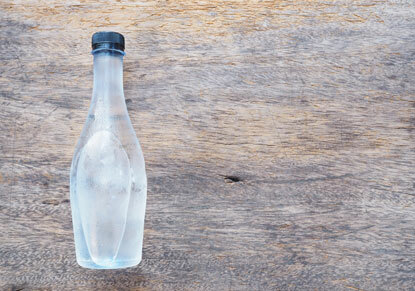 Any change in her thirst or urination could be a sign of an early kidney problem, and it is unlikely that what you describe is a side effect of her medication. It would certainly be worth taking her along to a vet appointment and having a discussion about all the things you have highlighted. Would you like to ask one of Cats Protection's experts a question? Don't miss the next live Facebook Q&A sessions: speak to Behaviourist Nicky Trevorrow on 29 June; or vet Dr Sarah Elliott on 13 July. 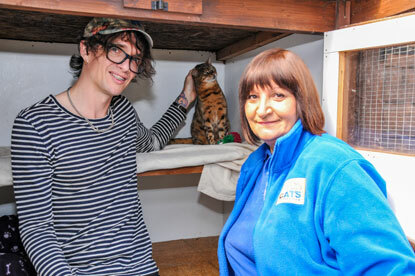 All Q&As are held on Cats Protection's national Facebook page from 2pm. See you there! We’d like to share the story of Edmund, our beautiful FIV+ cat who is now living the life of Riley with his loving family. 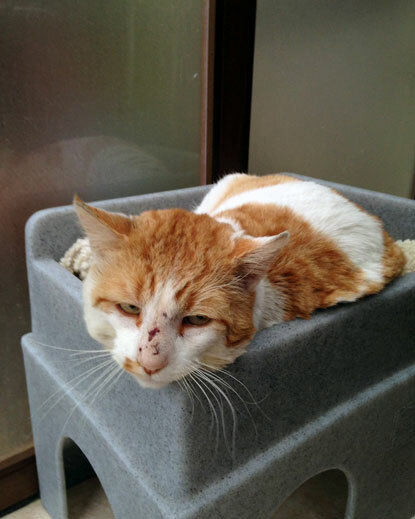 Edmund's story is one that will be so familiar to every branch of Cats Protection. He was found as a stray – not microchipped, not neutered and with horrible wounds from fighting. We weren't surprised when his FIV test came back as positive. 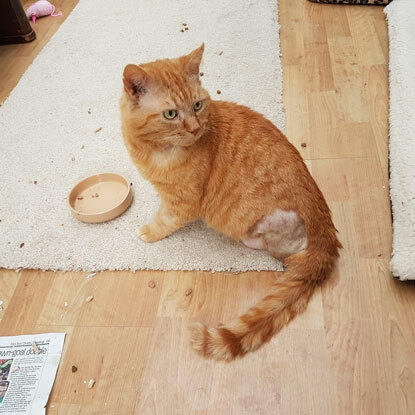 Edmund was an absolute sweetheart, very affectionate and gentle, and with loving care and attention from his foster mum Emma, his wounds soon healed and his coat took on a glossy sheen. We got him neutered, microchipped, vaccinated and had his general health checked over by our local vet. Fortunately, he was in good health. 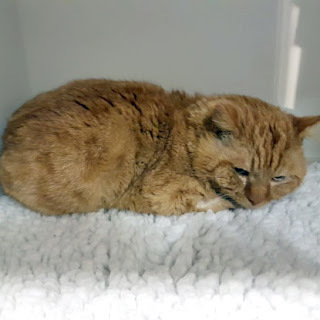 As all CP branches will also know, ginger and white cats are highly sought after, and we very quickly had an enquiry from a lovely couple in Aylesbury, Ellie and Robbie, who live in a flat and so needed to adopt an indoor-only cat. This was perfect for Edmund, as keeping him indoors will protect him from catching infections that his FIV makes him more vulnerable to, and will stop him passing the virus on to any other cats. We carried out a homing visit and knew that his potential adopters and their flat would be perfect for Edmund. He had so many windows to look out of and lots of sofas, chairs and throws to lounge about on. Ellie also worked nearby, so would be able to pop home in her lunch hour to check on him. “Edmund is such a confident and loving cat. It took him a matter of minutes to settle in! He's already claimed his spot on the sofa and given us so many cuddles. He adores Robbie and doesn't leave him alone, as you can see in the pictures. Ed will go to great lengths to make sure he is the centre of attention, no matter what you're trying to do! “Well, we thought he was confident on day one but he now definitely rules the roost! He makes us laugh every day and we're always greeted with enthusiastic meows and cuddles. He loves it when we have people round because he has an abundance of laps to sit on and humans to pay him attention! We strongly believe that he's made of liquid because he just melts into your lap and snores very loudly. “He knows what time our alarm goes off in the morning and pre-emptively comes to wake us up with a cuddle! “The vet says he is an ideal weight now and his fur looks beautifully shiny and white. “He is very happy staying indoors and doesn't even look out of the windows. The only time he goes near the front door is when visitors leave and he calls for a few minutes at the door after them! “Edmund is so popular with all of our friends and family. We travelled to Wales at the weekend to visit Robbie's grandma and everyone fought to look after the cat while we were away! My mum comes round for a cuddle very often as her cat is totally indifferent but Edmund rather adores her. And of course we love him. We feel so lucky to have such a friendly, characterful and intelligent cat in our lives." Veterinary note: FIV is a virus in cats that is similar to the human virus, HIV or Human Immunodeficiency Virus. However, FIV does not infect humans, and HIV does not infect cats. FIV is thought to infect around four per cent of cats in the UK. For more information read our leaflet: Feline Immunodeficiency Virus (FIV) and Feline Leukaemia Virus (FeLV). 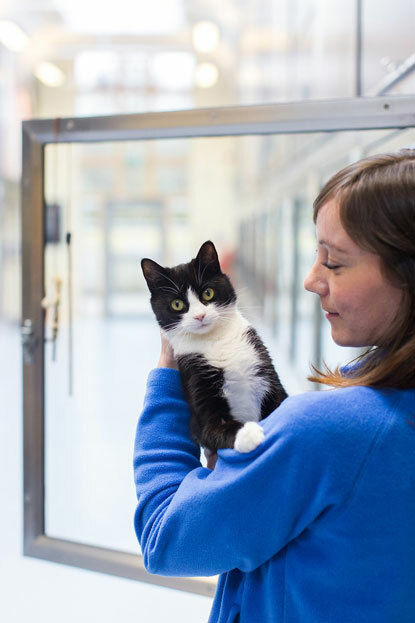 As it’s Volunteers’ Week we’re taking the opportunity to thank all of our volunteers, present and past, for their support and the difference they make to the lives of thousands of cats and kittens each year. Volunteers like Sara Ford make a huge contribution to the charity. 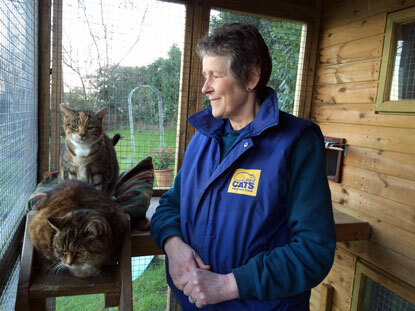 Sara has been volunteering for Cats Protection for over 30 years – read her story below. “I was transferred to London with my job in 1986 and saw a promotional stand advertising for volunteers in Ealing Broadway with the object of starting a branch in that location. I had only just moved to London and knew no one. It seemed an opportunity to get to know some people locally. “My current role as Co-ordinator and Fosterer for Forest of Dean Branch requires ensuring that all aspects of what we do are going smoothly and that everyone is kept informed about matters that concern each individual volunteer in the role that have taken on for CP. This includes making sure the Helpline is transferred to the daily volunteer and she is made familiar with any ongoing situation so can deal with it appropriately. 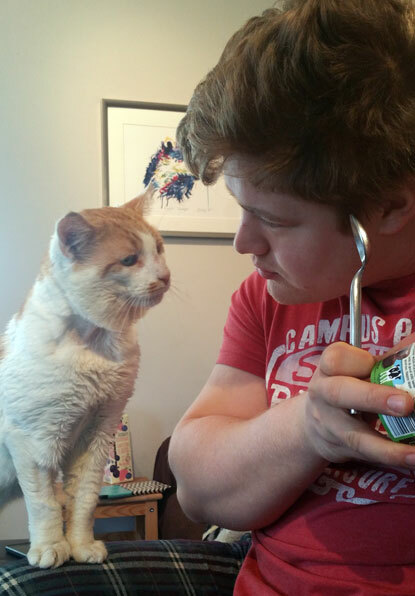 “My first task is cleaning and feeding the cats in my care. There might follow a trip to the vet with one or more cats I am currently fostering. I may then go out to carry out a home visit in my area or to check out a feral colony or a stray cat that has been reported to us. If I am at home, I might be contacting or responding to enquiries from the public, vets, the local press, other fosterers. “I also write our branch newsletter to raise awareness of what we do with our local members and hopefully raise support within our local community. The evening brings the day's messages from the Helpline volunteer which must be responded to promptly. The volunteer and I will often share this responsibility so that the public will have an answer to their enquiries on the same day. Again, ensuring other volunteers are kept in the picture is essential so emailing the daily information around the branch is a necessary job so everyone remains involved and up to date with matters that concern them. “I have organisational and administrative experience which has been a useful training for CP. I also had a cat as a child and loved her though I wince at the ignorance about cats that we had in the ‘50s! “Why did I choose to volunteer for CP? No idea! I like cats and I like to help out in an area where I can use the skills I have. I intensely dislike cruelty and suffering in animals who can do little to improve their own situations. “Volunteering is a way of life for me and I don't think of it as a ‘donation of time’. My retirement time is as occupied as I want it to be and many of my closest friends are cat people. I enjoy being part of a team of people working towards the same end. I see the role of Co-ordinator as largely administrative and of equal importance to every other volunteer. It is purely that I enjoy and can do organisational and administrative tasks so that is the role I choose to contribute. Here are the 15 finalists for this year’s National Cat Awards, which celebrate the extraordinary tales of survival, heroism and companionship in the cat world. Sponsored by PURINA® for the sixth year, the competition celebrates the achievements of the country's fearless felines and miraculous moggies. Last year’s winner, Tink, took top prize after judges heard of her heroism in raising the alarm and saving her family from a house fire. There are five categories vying for the title – Hero Cat, Purina® Better Together, Outstanding Rescue Cat, Furr-ever Friends and Most Caring Cat. Each winner will receive a trophy, a three-month supply of Purina® cat food, a year’s subscription to Cats Protection’s The Cat magazine and a voucher for cat goodies. Each category winner will then be in the running for the title of National Cat of the Year. 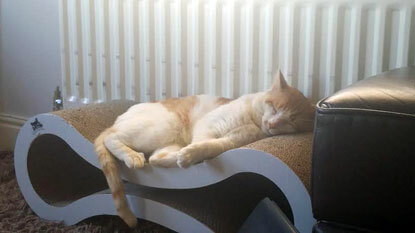 A further category, ‘CP Special Recognition Award’ has been created to celebrate some of the amazing stories involving cats that have been rehomed by Cats Protection. Although not in the running for the overall title, three cats have been shortlisted. 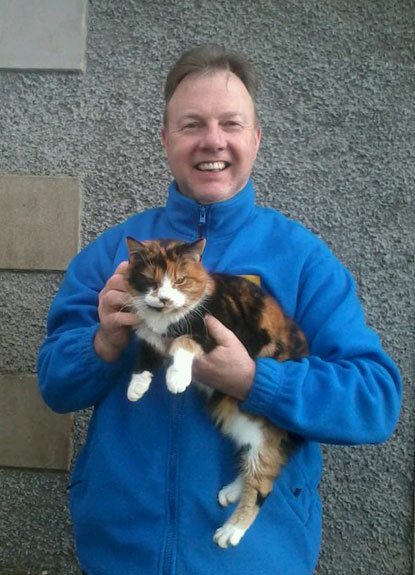 Wesley Henderson is just one of our 10,000 volunteers who make a difference to the lives of cats around the UK. During Volunteers’ Week this year, we’re showcasing the different volunteering roles on offer and celebrating the contribution our volunteers make to the charity. Wesley has been volunteering as an Education Speaker in Northern Ireland for five years. Wesley’s role involves talking to schools and community groups of people of all ages to help them to better understand cats and their care. 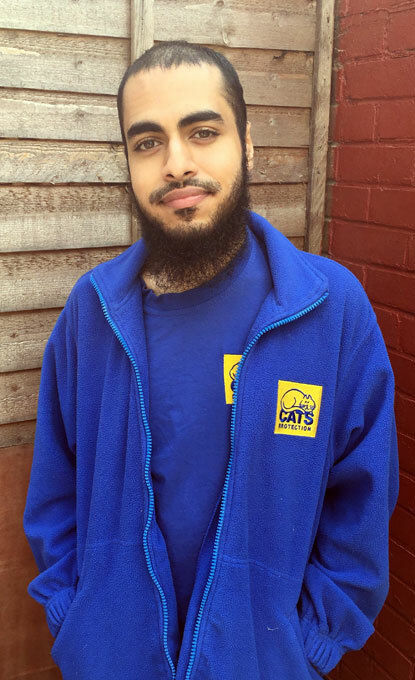 “Volunteering allows me to give something back – to contribute to the welfare of cats in some way. It gives me a great sense of fulfilment but I know it also means a great deal to the audience when they learn things they didn't realise about cats. I always think that if just one person thinks in a more positive light or more kindly about cats after I've left then I'll have done what I set out to do. Continuing our celebrations of Volunteers’ Week from 1-7 June, we’re giving you a sneak preview of some of the voluntary roles available with Cats Protection. 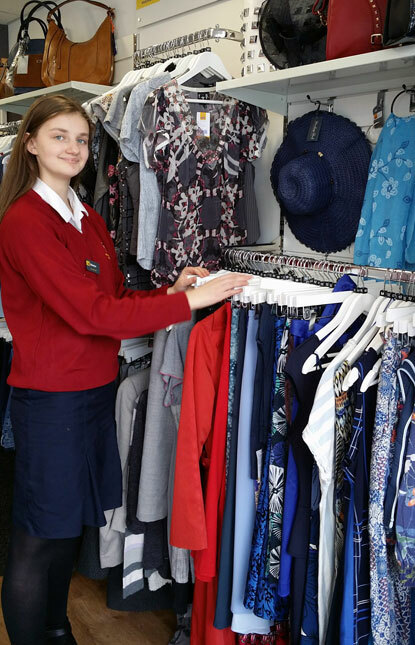 Fifteen-year-old Samanta Razbadsuskaite volunteers for our charity shop in Penwortham, Lancashire. She’s in one of the more creatively named roles of ‘Love to Tidy’ and helps to keep the shop and stockroom clean and organised. Samanta began the role in February and donates 90 minutes of her time a week after school. “A typical day includes making sure that everything on the shop floor is aesthetically pleasing for the customers as well as making sure that the stockroom is organised,” she says. “I also talk to customers if they need help making sure that their needs are catered for. Recently I participated in training to help build my confidence and esteem when dealing with customers and improve customer service. Samanta was attracted to the voluntary role because of her love for cats and has made many friends in the process. Thanks to the dedication of our 10,000 volunteers across the UK, we’re able to help around 200,000 cats and kittens a year. Microchipping is an important part of cat ownership so through June, National Microchipping Month, we’re encouraging all cat owners to ensure their pet is microchipped and the contact details are up to date. Microchipping is the most effective way of identifying a lost pet (microchips can’t come off or put the cat at risk of injury like collars can) and greatly increases the chances of a lost cat being safely reunited with their owner. Justin Hawkins, frontman of rock band The Darkness is appealing to people to get their cats microchipped after Cats Protection reunited him with his missing moggy last year. He said: “When my cat Cully went missing I was heartbroken but I just knew she was still alive somewhere. I kept checking microchip databases and kept my details up to date in the hope of finding her. Three years later, after being found living as a stray, Cats Protection was able to reunite us thanks to her ‘chip details. “I was so happy when I heard she’d been found – I couldn’t wait to get her home. I’m sure any cat lovers like me will agree that our pets really are part of the family and it had been awful not knowing where she was for all that time. To celebrate Volunteers’ Week from 1-7 June, we are highlighting the wide range of voluntary roles available within Cats Protection, which enable cat lovers from all walks of life to get involved. As well as being hands-on with cat care, volunteers can help with all sorts of roles at our branches, shops, centres and teams across the UK. Some of the more unexpected roles include helping manage branch websites, volunteering in shops, taking calls from members of the public and gardening at the charity’s centres. John and Fay Cardwell became volunteers for the charity after adopting their own cat, Jack, from Cats Protection’s Belfast Adoption Centre. They now spend one day a week tending to the plants and outdoor space at the centre to make it more attractive for visitors. 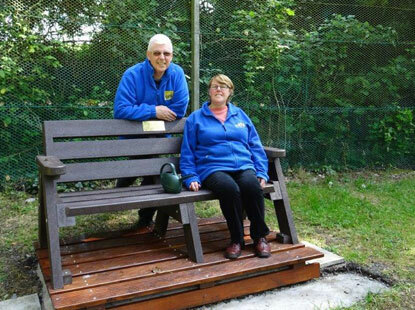 John says: “Fay and I have been volunteering with CP for just over four years. Shortly after losing our first cat to old age six years ago we thought we should give another cat a home and went along to Belfast Adoption Centre with the idea that we would take the cat that nobody wanted. Volunteering means a lot to the couple and they’ve made a lot of friends in the other volunteers and staff. A big thank you to all our volunteers this Volunteers’ Week! Now in its 33rd year, Volunteers’ Week is an annual celebration of volunteering across the UK and an opportunity for all volunteer-involving organisations to celebrate the huge contribution and positive impact volunteers make. The importance of volunteers within Cats Protection cannot be overestimated. 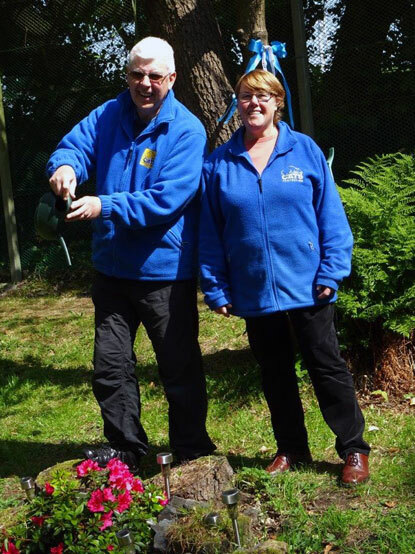 Set up in 1927 by a group of volunteers reacting to injustices they had seen in their community and beyond, this year sees Cats Protection celebrating a fantastic 90 years of working to change the lives of cats and kittens for the better. In the last year alone our volunteers contributed approximately five million hours in a wide variety of roles within branches, adoption centres, shops, our volunteer groups. 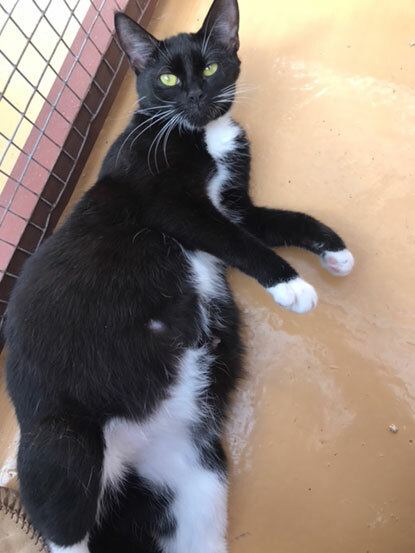 Our volunteers donate time to help people to better understand cats, to help with neutering, helpline queries, health and safety and administration and our Trustees and Advisory Council. We're now celebrating reaching the 10,000 volunteer milestone! The landmark figure means Cats Protection – which also celebrates its 90th anniversary this year – now has more volunteers than ever before helping to improve feline welfare across the UK. Within any type of organisation it's not easy to say thank you in a way that means something to everyone (we're not very good at slow blinking, purring or head-butting like cats!) and while we know our volunteers don't do it for the ‘thank you’ we’d like to take this opportunity to express our sincere gratitude. A huge thank you to each and every volunteer, past and present, who has contributed in whichever way they can to changing the lives of our feline friends.